Are You looking for a new and exciting activity for your next hen Party? Is the soon to be bride, more of the adventurous type who prefers doing out of door activities rather than having a salon day? 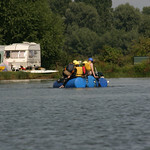 If so then why not plan your next hen party around a few hours of raft building? While raft building may seem like a rather strange activity for a Hen party, it's strangeness is actually one of the reasons this activity is so much fun, and perfect for those brides who want something unique in the way of their pre-wedding celebration. Just like marriage, building a raft as a team or group will take a lot of co-operation and communication which is a perfect challenge for anyone about to get married. And just like in marriage, failing to co-operate and communicate well will make the difference whether you all stay a float, end up treading water, or sink the ship (we mean raft). It gives the bride and all of her friends the perfect opportunity to spend a day out on the water enjoying the sunshine and doing something new and exciting together. After which you can all go some place warm and cozy and enjoy dinner and drinks and a bit of laughter. 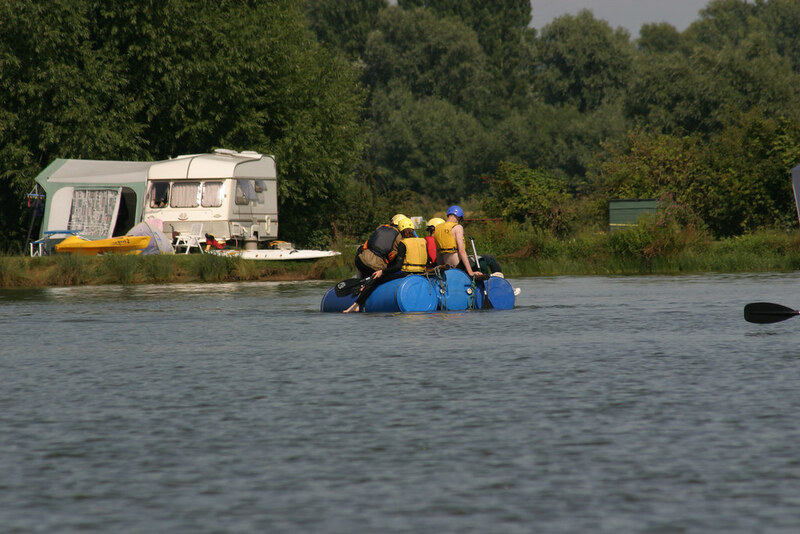 Of course raft building is perfect for those couples who want to combine their stag and hen parties into one and want to choose an activity that involves good clean fun. You can even turn raft building into a team competition with the bride and groom on one team or on opposite teams. It is a fun way to forget about all the stress of the upcoming wedding and enjoy a day of pure fun. Best of all, it doesn't matter how large or small your wedding party may be as this raft building activity will accommodate as few as 4 people and as many as 15. And unlike many types of hen or stag parties you can even include any teenage members of your wedding as children as young as 9 can take part in this activity. Of course you don't just have limited a day of raft building to just brides and grooms. This is a great activity for people who want to do something fun and different for their birthday, a great family vacation activity or even a work event to inspire co-operation and team building. The event last three hours and after you build your raft you even get to try it out to see if it is water worthy, so wear your bathing suits and plan to get a bit wet and wild during this three hours activity! 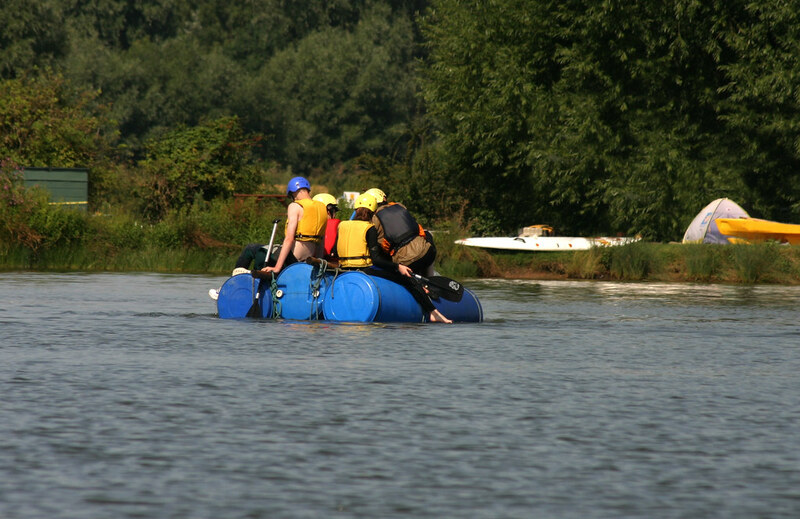 For more information, or to book a session of raft building for your group call us today. You may also want to explore and see what other fun activities are available for you to enjoy in Bristol.